Two hours by share taxi up into the hills north-east of Mandalay is another world. It's quiet, pleasantly cool in summer, covered in trees and flowers, and very friendly. with flowers, benches under shady trees, and a Chinese restaurant on site. The small but bustling town centre is marked by the Purcell Tower. Nestled in the narrow streets around the tower, you'll find the central market, the stalls of the night market for cheap eats (everyone pleasantly surprised to see a foreign face), plenty of small restaurants, and a handful of Indian sweet shops (yes!). Typical building near the centre, with a typical horse cart parked in front. The rest of the town is spread out over a fairly wide area. To the east of the centre, you'll find the train station and the Shan market, a large wet market. An easy ten to fifteen minute walk south of the centre, the garden district is the moneyed part of town, and a quiet alternative place to stay. That said, this is still Burma. Don't expect to sleep late in the mornings. The call to alms of the local monks went past my guesthouse at 3:30am, banging some kind of drum or chime as they went slowly by. At 4:00 the local dogs decided to hold a barking contest. At 4:30, as it started to get light, the insects (crickets? Cicadas? The ones that sound like motorbikes, and about as loud) started up again. And at 5:20 the monks started again. No wonder the locals seem to mostly go to bed at 9pm. Perhaps a mile further south west from the gardens district, you'll find the botanical gardens, called the National Kandawgyi Gardens. 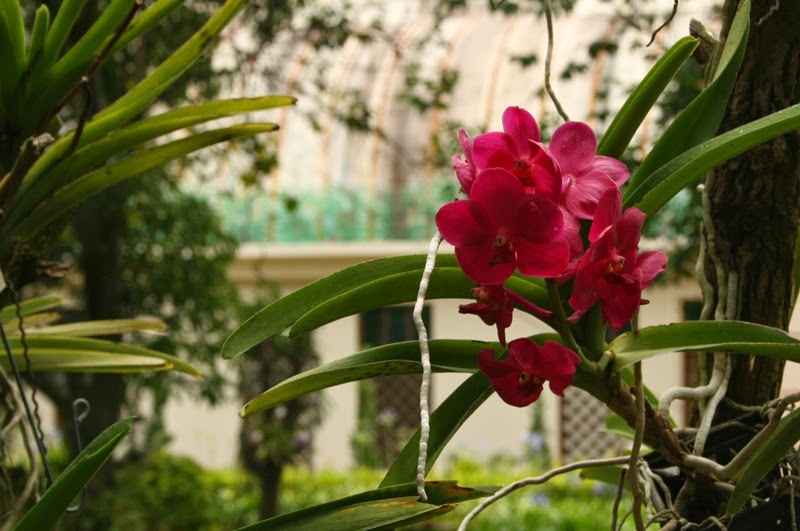 You could easily spend a few hours wandering about the site: there is an orchid garden (filled with local species, rather than showy imports), a viewing tower, and hundreds of different types of plants. If you get there early, perhaps 9 or 10 in the morning, you'll be able to enjoy plenty of peace and quiet. By lunchtime, the wide grass lawns will begin to fill up with locals enjoying picnics, and a festival air descends on the site. 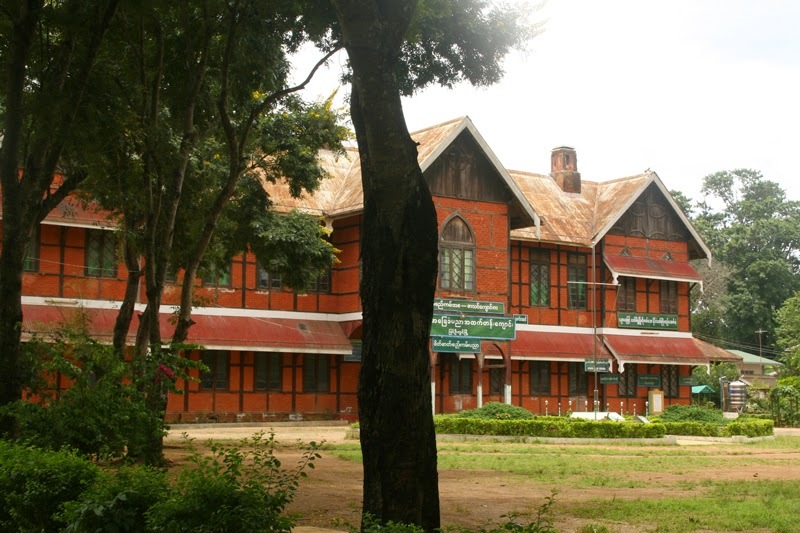 Clustered around the ring road are a cluster of colonial mansions, many of them now schools or hotels. Half-timbered, mock-tudor, or turreted: take your pick of your preferred out-of-place style. And speaking of style, you can hire a traditional horse cart to carry you on a tour of the colonial sites. 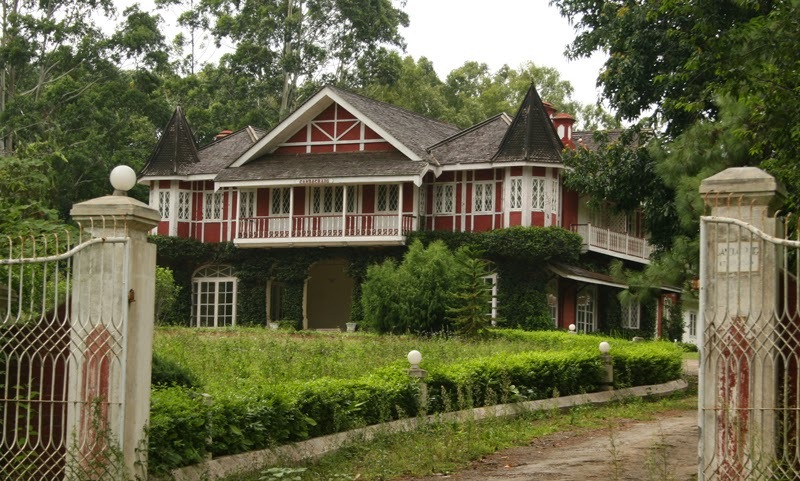 Pyin Oo Lwin was founded by the British as a "hill station" - a place to retreat from the summer heat in Mandalay. 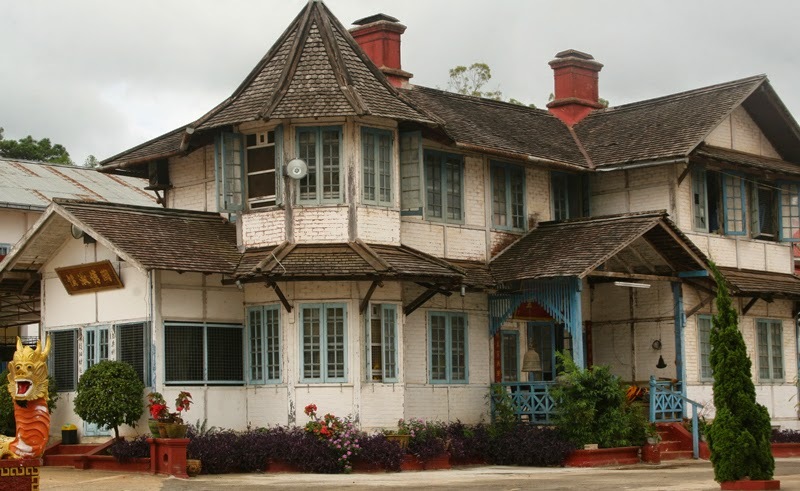 As soon as the railway opened it up, Pyin Oo Lwin also became the summer capital for the British colonial administration. The British left in 1948, but the colonial architecture and the descendants of the Indian workers remained (hence all those lovely sweet shops). In winter, it gets cool here (sometimes as low as 10 degrees celcius) so bring a sweater and long trousers. In summer, it rarely gets over 30 degrees, so makes a lovely change from the sweltering temperatures in Mandalay. 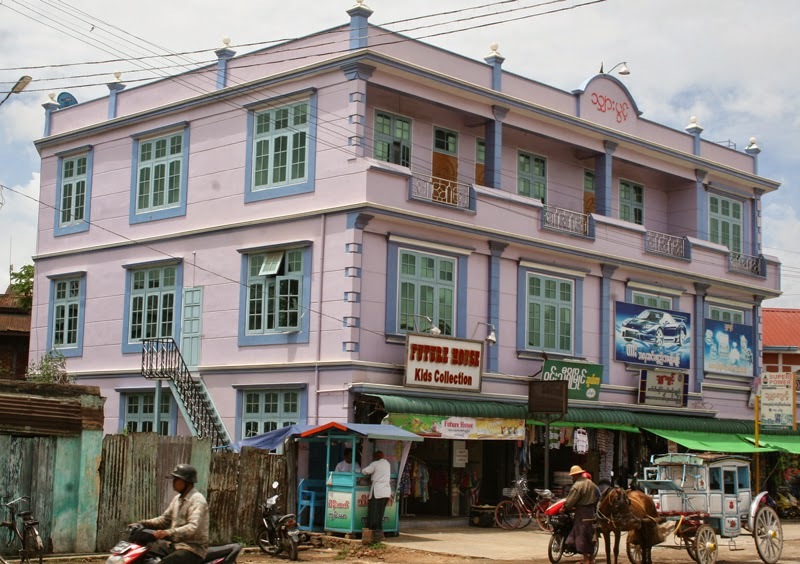 A share taxi from Mandalay costs $5 per person (your hotel can organise it for you for an extra $1-2) takes about 2 hours, and will pick you up from your accommodation in Mandalay and drop you anywhere you like in Pyin Oo Lwin. You can also take buses, although they tend to take a bit longer (especially if they need to stop to cool down the engine or the brakes, which happens more often than you expect) and the bus station is some distance outside of town so realistically you'll need a taxi or motorbike taxi from the station to your guesthouse. Trains from Mandalay take almost 4 hours, leave Mandalay at 4am, and the train station is a 10-15 minute walk north of the town centre. Take a share taxi. You can thank me later. Random travel-related thoughts and musings from a food-obsessed writer, belly-dancer, avid-traveller, and all-around-bit-of-a-geek. St Jude is the patron saint of lost causes. I'm not religious, but somewhere between the ruination of my passport by immersion in liquid chocolate in Switzerland, and finding myself accidentally staying in a drug den in New Orleans, I realised I was a lost cause. I still have fun, though. Words and photos by Antonia Mitchell. Simple theme. Powered by Blogger.